An action organised by Fuel Poverty Action, Disabled People Against Cuts and the Greater London Pensioners’ Association. Other organisations taking part include Single Mothers’ Self-Defence, Southwark Pensioners’ Action Group and WinVisible (women with visible and invisible disabilities). Meet Thursday 29th November at 11am outside the main entrance to the Treasury on Horse Guards Road, SW1A 2HQ, opposite St James’s Park (nearest accessible tube station, Westminster). Speak out against cold homes, mammoth fuel bills and winter deaths! Demand that George Osborne lets us into The Toasty Treasury to keep warm! Bring placards, banners, blankets, flasks and hot water bottles! This week, the government will publish its controversial Energy Bill. What it’s hoping we won’t notice is that, on Thursday November 29th – the likely date of the Bill’s first reading – the human cost of its destructive energy policies will be revealed as figures on last year’s winter deaths are announced. Disabled people, as well as pensioners, mothers, children and others in low-income households will be among the worst affected. Fuel poverty disproportionately affects disabled people, who are twice as likely to live in poverty as non-disabled people. Disabled people need to spend more on energy as they are more likely to spend time indoors with fewer opportunities to go out and access community facilities to keep warm. Some impairments are aggravated by cold, requiring homes to be heated at higher temperatures to avoid illness and hospital admissions. Join Fuel Poverty Action, the Greater London Pensioners’ Association, Disabled People Against Cuts and others in fighting back. Over the past week, we’ve asked people across the country which Cold Homes Killer they want to target. 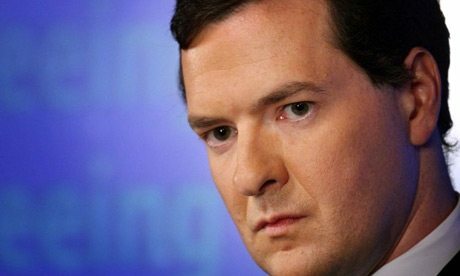 The votes are now in and we can reveal that the target of our winter deaths action will be…THE TREASURY, home to George Osborne. We can’t afford to heat our homes, so we’ll be demanding that George Osborne lets us into The Toasty Treasury to keep warm. We’re targeting George Osborne and The Treasury because they are directly responsible for deaths from cold homes. This is due, firstly, to their cuts to crucial lifelines like benefits, council housing and the Winter Fuel Allowance. George Osborne and The Treasury are also responsible for winter deaths because of their role in secret Tory plots to lock us into decades of dependence on dirty and expensive gas power. While the Tories and media blame green energy, in fact, two-thirds of last year’s energy bill increases were due to the rising cost of gas. Meanwhile, the cost of renewable energy is quickly coming down. We need to invest rapidly in renewable energy to bring down bills and avert the dangers of climate change, which is also a killer. Why is the government allowing the Big Six energy companies – British Gas (Centrica), EDF, E.ON, Npower, Scottish Power and SSE – to push the cost of investment in new energy onto our energy bills, while their profits soar to record highs? The answer: the government are in bed with the energy companies and are prioritising their profits over our lives. Join us in demanding no more cuts, no more dirty and expensive gas, no more mammoth fuel bills and no more winter deaths. Our alternative: let’s reclaim power through community-controlled renewable energy, distributed on the basis of need not private profit. Spread the word on Facebook, event here. We are attempting to secure funds to subsidise people’s travel to the event. If you are in need of subsidised travel, please let us know in advance via the contact details below and we will try our best to help you. If your group would like to publically support this event, please let us know.